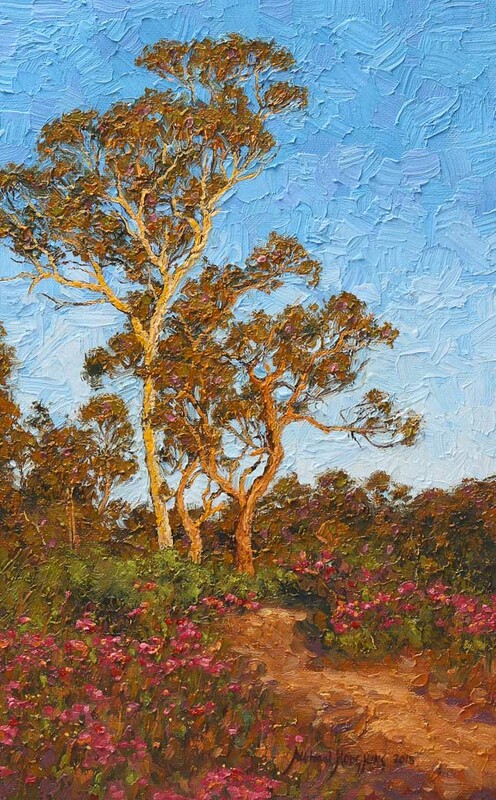 I’ve just added a couple of new paintings to my Australian Landscape web gallery. 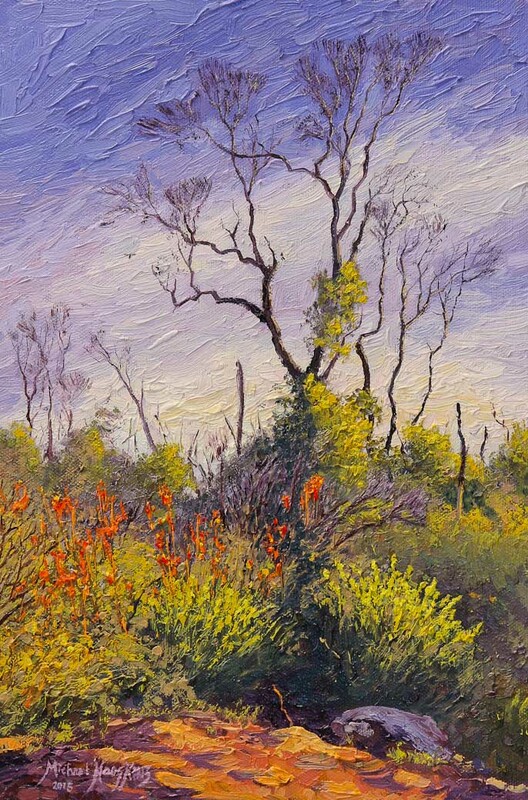 “Regeneration in the Perth Hills” was recently the subject of a demonstration article in Artists Palette magazine and I talk about the background, inspiration for this painting and its family connection, here. 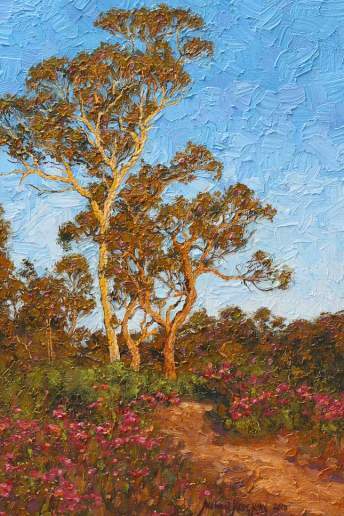 The other painting is “Trail Beside Jane Brook” featuring trees and bush-flowers above the National Park Waterfall at John Forrest National Park out of Perth, Western Australia. 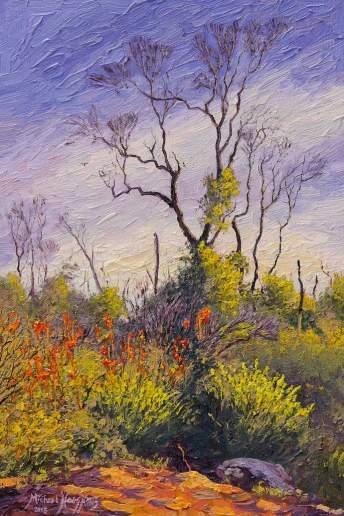 Both of these paintings are available for purchase.